Dr Cath is a Consultant Physician in Sport and Exercise Medicine, who has a specialist interest in the diagnosis and rehabilitation of hip and groin problems in sport. Dr Cath works as part of a multidisciplinary team and has expertise in getting to the bottom of persistent hip and groin pain, whether acquired through sport or otherwise. Dr Cath’s approach is very biomechanically and functionally focused, and she’s passionate about non-surgical approaches whenever possible. She is one of the UK’s most experienced Sports Physicians in the care of patients with femoracetabular impingement and hip arthritis, having guided the recovery or more than 2,000 patients undergoing hip surgery. She works closely with orthopaedic surgeons, physiotherapists, osteopaths and coaches, to help rehabilitate patients (from Olympians through to the occasional exerciser), to gain new resilience. As an Ironman triathlete and endurance runner with a hip problem herself, she is fully understands the importance of exercise in her patients’ lives, and the physical and emotional side of living with a tricky hip. 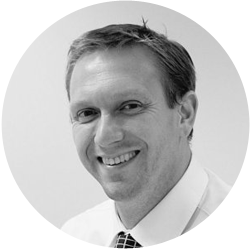 Dr Cath qualified in 1995 from St Bartholomew’s Hospital in London and trained in Sports Medicine at Bath University. She has been a Sports Physician at several Olympic and Commonwealth Games, and has worked extensively with GB rowing, track and field sports, marathon, endurance and outdoor adventure sports men and women. She developed an MSc Programme at Bangor University, and is a keen lecturer.